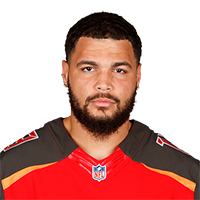 Published: Dec. 30, 2018 at 01:32 p.m.
Tampa Bay Buccaneers wide receiver Mike Evans toe-taps in 19-yard touchdown pass from quarterback Jameis Winston. Published: Dec. 23, 2018 at 04:08 p.m.
Tampa Bay Buccaneers quarterback Jameis Winston throws a 7-yard touchdown pass to wide receiver Mike Evans against the Dallas Cowboys. Published: Nov. 18, 2018 at 04:05 p.m.
Tampa Bay Buccaneers quarterback Jameis Winston finds wide receiver Mike Evans for a 41-yard touchdown.